Oh yes. I think I may have some chestnut puree in the cupboard. But foraged food is inherently better. I could hide it in your garden? Rubber gloves are your friends. Tighter rubber gloves might have worked, but I found with the rubber gloves I didn't have the fine motor control I needed. 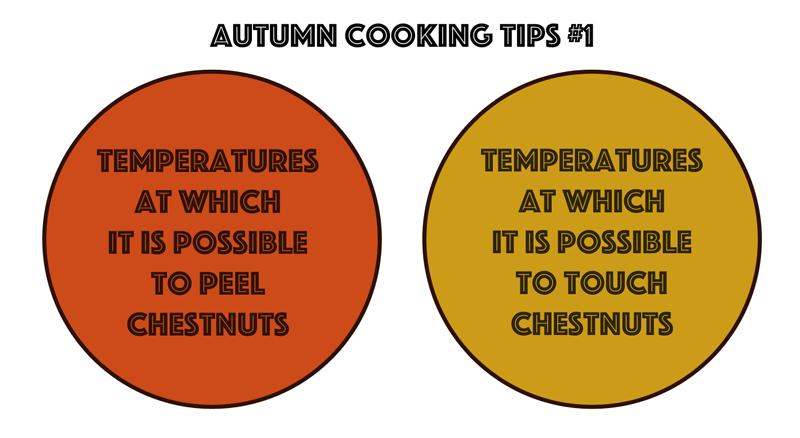 In the end I held the chestnut with a tea towel and peeled with my no-longer-functional thumbnail. Arrgh; I edited the image but forgot to shrink it. Though I am unapologetic about 800px which is the smallest that makes any sense at all on a proper screen. No, that's right, it was about 1400px at one stage which is obviously too much. 800 is perfect, it's just 1600 that's a little too much. You'd think we'd all be on 1080x1920, and many of us are, but sometimes we like to use a window, or hem-hem have failing old man eyes and are zooming to 200% to read the text. Sigh. I love chestnuts and always shred my thumbnails trying to peel them.